Always good to hear from you, Mark. Glad the system is working well and looking forward to hearing more about it. Looking forward (as I was a year ago) to hear about how to do this system. 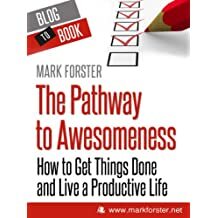 Thanks Mark, is there an article summarising the 10 Tasks system? (I had a quick look and couldn't find one.) Is it an expanded version of the old 5 task system? Does the "10 Tasks" system go like this? Now you cycle through the last section doing what stands out. Then you go back to the beginning, cross out the old sections, and redraw new sections. Repeat the scanning process. As an old Forster fan I wouldn‘t mind to be informed about a second best system, too. Maybe it has some features, that would be especially useful for someone. Or it could it inspire some of the coinventors on this site? I'll post the instructions for both systems over the next few days. Well, yesterday was my first day and it worked very well indeed. No idea why. 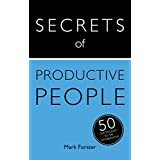 Much as I am looking forward to seeing the new system, I have started re-reading Secrets of Productive People (a short chapter a day on way into work), which is helping to flesh out my sense that what most needs looking at is my choice of focus, and attention to system failures. The input is much appreciated! Mark, this must be your fastest crash and burns of any system tried? Hi Mark: I have been experimenting with Fast FVP. How do you take breaks? Any tips on preventing burnout? I put breaks in as tasks. Works fine. Will's suggestion of putting breaks in as tasks is a sensible one. Another is to work to a timetable, e.g. work for 40 mins, take 10 mins break, work for 40 mins, take 20 mins break. Have a definite lunch break and stop working for the day at a definite time. 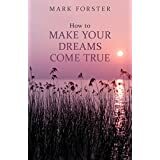 This not only prevents burn-out but concentrates your work. When taking a break you can do anything you like as long as it isn't work. One of the many tips that have helped me was your advice to those who are unable to get through their daily workload: finish earlier. Counter intuitive, logical and most importantly, it works! 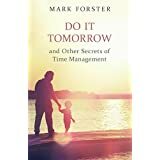 I find when I know I can stay late to sort out email, I tend to be more relaxed during the day and be less rigorous in deciding not to do things. Having said which, my levels of discipline are not yet consistent. "I'll post the instructions for both systems over the next few days." 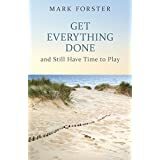 Hi Mark, I had been waiting to see your latest "10 Tasks System", wondering if this would be the final system that best meets the various criteria for a high functioning task management system; but now I am re-reading Secrets of Productive People and I am wondering if it is more a matter of using the kinds of questioning and idea generation approaches you suggest to assess how a system is working and adjusting if necessary (to improve things like thoroughness, drawing power, management of workload, speed, low resistance etc). ie not necessarily expecting one final algorithm that trumps the rest, but more a matter of drawing on the approaches you have suggested in designing a system that best suits ones situation and characteristics. Yes, that would certainly be a good thing to be doing. I think it's actually impossible to produce a system which will suit everyone equally. Not that that is going to stop me trying!